A dangerous trend has been growing in the U.S. with more people using a drug known as fentanyl, a type of opioid painkiller that is similar to morphine but is 50 to 100 times more potent. 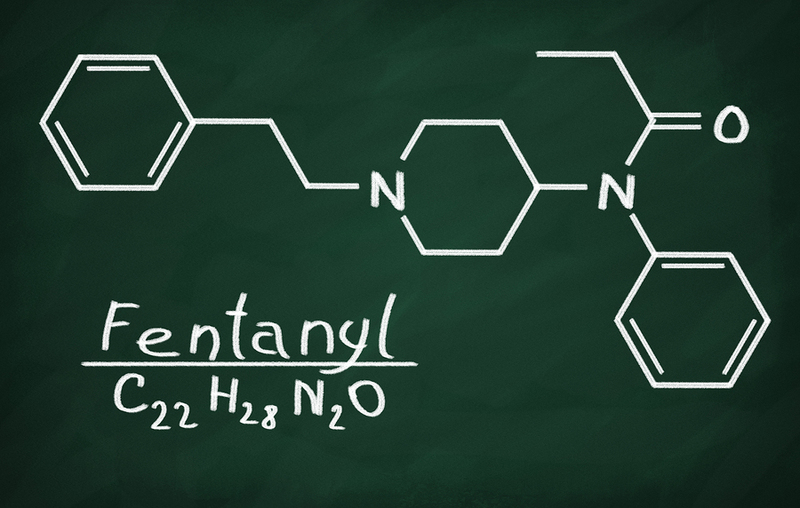 With the opioid crisis continuing to grow, the use of fentanyl has become problematic especially because of its high potency and addictive nature. Fentanyl is turning into one of the most lethal drugs in the country, causing overdose deaths throughout the U.S.
One of the issues with fentanyl is that people who regularly abuse opioids may not be aware of how strong the drug is. Even heroin abusers can have too small of a tolerance to handle fentanyl because it is 50 times more powerful than heroin. People who have been in recovery but relapse with even a small amount of fentanyl can quickly overdose and die. What is even more alarming is that many drugs including cocaine are now being laced with fentanyl. People may have no idea that this powerful opioid is mixed in with the drug they are using which can lead them to unwittingly consume too much. More and more cases of people unknowingly overdosing on fentanyl are causing concern. The issue of drugs being laced with fentanyl is a serious problem that is costing people their lives more often each year. Although not every state registers the drug combinations in an overdose, states like Connecticut have found that the number of deaths involving cocaine laced with fentanyl has increased 420 percent in the last three years. Heroin laced with fentanyl led to even higher death rates throughout the state. An increasing number of dealers are adding fentanyl to cocaine especially in the New England area where seven percent of the cocaine seized by police included fentanyl last year. Although many people who purchase cocaine laced with fentanyl may not realize what they are buying, dealers have a specific reason for adding the drug. The purpose of adding fentanyl is for “speedballing” which is the combination of the rush of a stimulant like cocaine and a depressant like heroin. The trend of mixing these two drugs is extremely dangerous because the effects of the two can be very harmful to the body. Fentanyl is so potent that even a small amount can affect the areas of the brain that control the breathing rate. Too much fentanyl can lead to slower, irregular breathing or even cause someone to stop breathing completely until they die. When fentanyl is mixed with other drugs such as cocaine it can amplify its effects and cause it to act more intensely on a person’s body. Many EMTs who have revived patients after a fentanyl overdose claimed that they only used cocaine and were unaware of the opioid being in their system. The medication naloxone is used to revive people after an opioid overdose and first responders must be equipped with it in these cases to restore normal respiration. What is Causing Fentanyl to Spread? Some believe that cocaine laced with fentanyl may be an issue of accidental contamination. It could have to do with mistakes while packaging the drugs which lead to a small amount of fentanyl ending up in bags of cocaine. However, some including many in law enforcement, believe that the mixture is intentionally created by drug dealers. They believe that cartel leaders are using the mixture as a way to expand the market of opioid abusers. When cocaine is laced with fentanyl it can become more addictive, causing people to use it every day instead of just occasionally. Adding opioids can make drug users crave and need the product more than they normally would because opioids are highly addictive. Although this tactic may work in some cases it doesn’t take into account the lethal nature of the combination. For people with no tolerance to opioids, fentanyl can be so powerful that they quickly overdose and pass away even with a trace amount. This issue is causing alarm throughout states in the U.S. where overdoses have been increasing steadily. Many areas that have been experiencing this issue believe that fentanyl laced drugs could be the next wave of the opioid epidemic. More alerts have been circulating to let people know of the dangers of getting drugs off the street. You may never know exactly what is in these drugs since dealers can sell them without consequences. It is crucial for first responders and even users themselves to carry naloxone so that more lives can be saved from the dangers of fentanyl. Naloxone can help prevent a person’s opioid overdose from becoming a fatal mistake. Reducing overdose deaths is a major health issue in the U.S. and fentanyl is now a pressing problem that must be addressed.